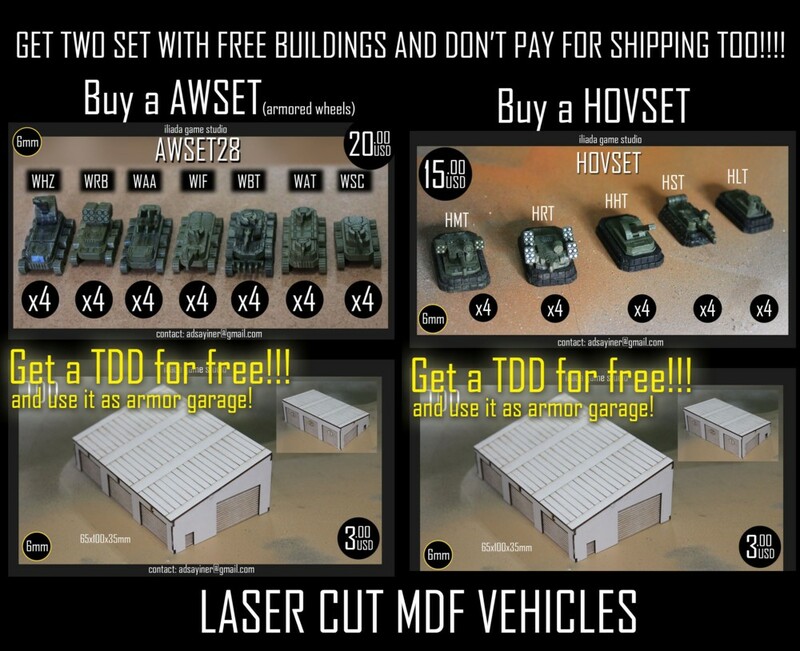 New 6mm Vehicles Set Offer! Laser cut MDF sci-fi vehicles sets! buy one AWSET and one HOVSET and get free international shipping! This entry was posted on Friday, February 8th, 2019 at 09:08 and is filed under News. You can follow any responses to this entry through the RSS 2.0 feed. You can skip to the end and leave a response. Pinging is currently not allowed.